sensor system to guarantee that your customers receive their purchase or get their money back. 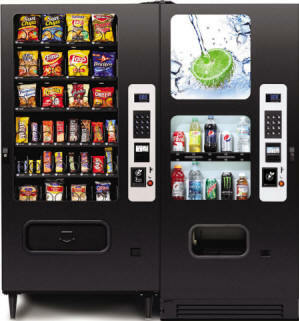 a winning vending solution for mid-sized and larger accounts. Ship Weight *481 lbs. (218.2 kg) *Varies with options. *671 lbs. (304.4 kg) *Varies with options. Click here to request delivered price information in your area.